As part of my continuing and seemingly never ending fascination with Bob Ross, here is episode 1 from season 31 with (along side the intro and outro) just the colours/colors or the word colour/color mentioned. Don't ask because I don't know. But I do know there's a lot more of these to come so you better just get used to it. Following the upload of 'Friends Season 1 overlaid' (and the subsequent removal of it) I thought I'd try the same trick with US painting legend and guaranteed sleep aid: Bob Ross. This is every episode of season 31 (apart from the one with Steve, I mean... who needs Steve?) overlaid with a 10% opacity for each episode and a lighten blend applied. To give the episodes an anchor point all the episodes are approximately lined up when Bob says, "Let start..." The result is... trippy, but relaxing which is easily one of my favourite states to be in. It's taken me a surprising two days to make this but the idea is to do the whole 300 odd episodes as one overlay (but not the ones with Steve, because, well, come on... not Steve*) so as long as I don't get sued and I find lots and lots of spare time I might do that. *Steve is a great painter - possibly better than his father Bob - but he breaks the patterns here. And he keeps me awake. This has been extremely fun to make. In addition to last week's Echaskech video here's a couple of videos I made for Introducing Live's Daft Punk Performance at Wilderness 2017. A performance so good that even the N.M.E. described it as their "unexpected highlight of the festival"
There's a couple of videos out there that already explore the idea that Michel Gondry's iconic video is palindromic so I started with that , but I wanted to also represent the idea of - as Introducing live are a band covering Daft Punk - other people covering the video (of which there are quite a few if you spend days on You Tube searching them out) and that is the latter segment (sort of people from around the world doing the dance from "around the world") but when I got the audio from the band (I'd been using the Daft Punk track as guide audio) I realised that they play a little insert from "Harder, Better, Faster, Stronger". Not wanting to repeat my earlier HBFS video (which also tries to show the incredible creative fandom that exists around Daft Punk) I explored the idea of improvement and - after working on another video project where I'd worked on (and abandoned) a master-cut of 80s TV shows - my brain pushed the two ideas together and came up with the homage to the bionic man and woman that just works so well with this section. Hi all! It gives me great pleasure to let you know about this video of Echaskech's 'The Knowledge" which was premiered at this years Awamu at Together's festival. Hope you enjoy it! 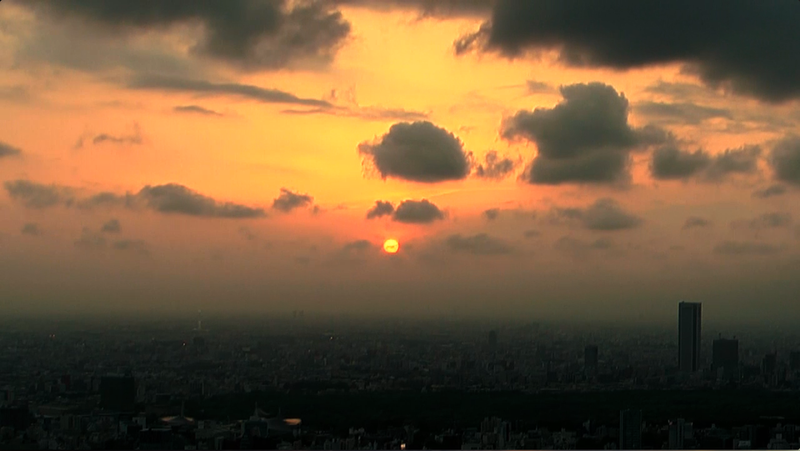 New Video: Tokyo Sunset/Freescha "The Sun is Still... Still..."
New Video: "626: 2 Revolutions of The BT Tower"
The BT Tower has always been a symbol of the future, of technology and progress; it's a unique and outstanding feature on the London Skyline and even as a kid I always wanted to visit the top, especially the revolving restaurant. However, due to threats of terrorism in the 80's, it got shut down and I thought that opportunity was closed to me, until (thanks to my employer, the NSPCC) Late last year I was given the chance to work on a Charity event at the BT Tower, an opportunity I jumped at. 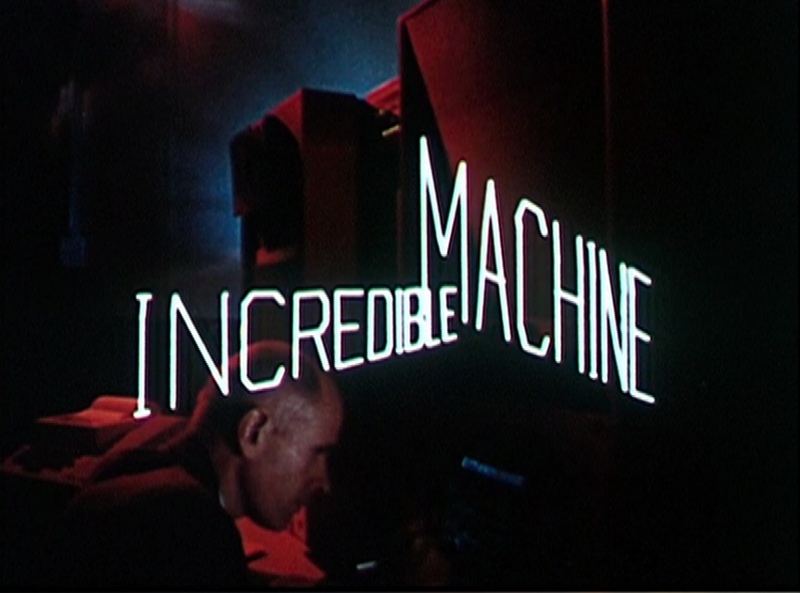 The film is of two revolutions , one during the day and one at night. Each revolution takes about 20 minutes and so the footage has been sped up about 10 times. The initial edit was done without music and then passed to Echaskech who the constructed the soundtrack to match my edits, I then did some fine tuning and the result is what you see. The title of the piece, "626" is the height of the BT Tower in feet. Mach V @ Back To Mine, 20110727 & 20110720, Deershed 2011 & New free Echaskech track! both available in glorious 720p. Initially I wanted to visually represent Napoleon's desire to make his point about broadcast news. The first idea was to have Napoleon being the one holding the bill board/placard, gagged. 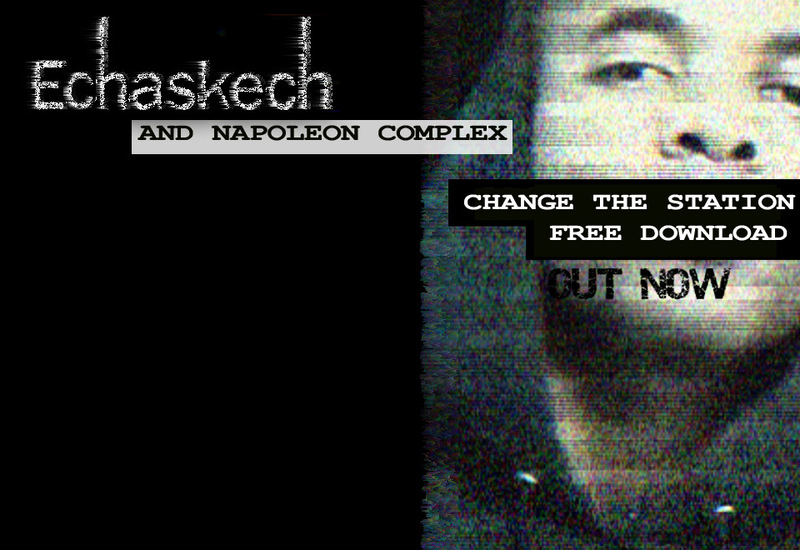 The idea being that the act of protesting would be his message, and even as an individual it could still be done, but sadly Napoleon lives in Naples, Italy (hence the name) so we changed it to just be Dom, representing Echaskech, or the music supporting what Napoleon has to say. Dom holding up the placard with Napoleon on it is a metaphor of Echaskech's music supporting Napoleon's lyrics. Shooting took place over the easter weekend on my trusty Panasonic HDC HS300 (we got Napoleon to film himself and send us the footage) and the editing was done in Final Cut Pro, then round tripped into After Effects to comp Napoleon on to the placard by Dom and then back to mine for a final treatment in FCP. We're all very happy and proud of it. Deershed must be one of the most child friendly festivals I've even been to. We reckoned that the children out numbered the adults 2 to 1, the average age of the audience must've been about 12 years old. On Saturday night, at 11pm, just as we were ready to go out on the tented town and party, all the entertainment stopped and by 11:20pm the arena was a ghost town... quite an eerie experience for a old festival vet like my self. However as our soundcheck was at 8.30am(!) it was probably for the best. Though we were playing at 1pm on a blisteringly bright Sunday afternoon, I was relieved to see that Deershed had sourced a properly dark tent for us to perform in, which meant that i hadn't traipsed up with my vj rig in tow for another wasted journey, only to watch the boys play from the sidelines. Much thanks to the lovely people at Deershed and at Just Music for making it a very special day for us all. And then, if that wasn't enough, Just Music announce that one of the Echaskech tracks "The Calm" is to be included on Linn Records "Just Music exclusive" compilations. Yes, that's right: the same Linn records that orginally signed The Blue Nile. How awesome is that? New Video: The London Eye in 2 Minutes/Sepalcure - "Inside"
The London Eye in two minutes/Inside by Sepalcure from mach v on Vimeo. I apologise for the reflections; in my haste to set up the camera - after my manfrotto camera arm got confiscated because it was a "security hazzard" (harrumph!) luckily the guerrilla pod (oh the irony) wasn't deemed a risk - I completely forgot to set up a hood to block out the movement the curved pod glass would capture, but I don't think it distracts too much from the piece... well, not if you look at the sky. ;) The music - which is so goddamned perfect for the piece, both emotionally and in length - is by Brooklyn based future garage genius's Sepalcure, who have featured in a number of Back to Mine's recently and will continue to do so, I'm sure. Please stop by the gift shop on your way out and buy their EP (on the awesome Hotflush recordings). Thom Yorke "Black Swan" at Big Chill Festival, 2010 from mach v on Vimeo. Massive Attack perform Unfinished Sympathy at The Big Chill Festival, Eastnor 2010 from mach v on Vimeo. Norman Jay, Big Chill Radio Set, Big Chill 2010 from mach v on Vimeo.